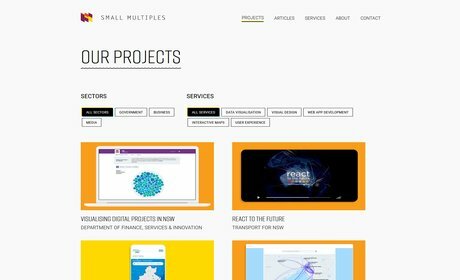 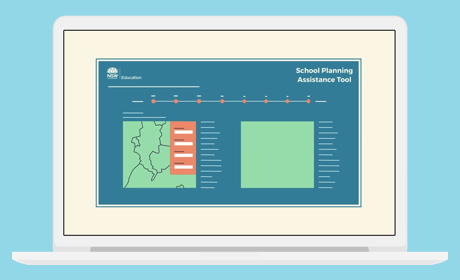 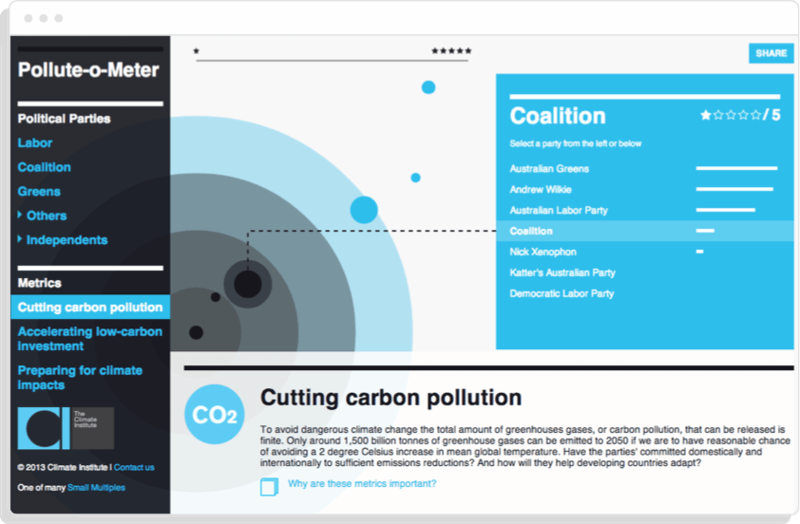 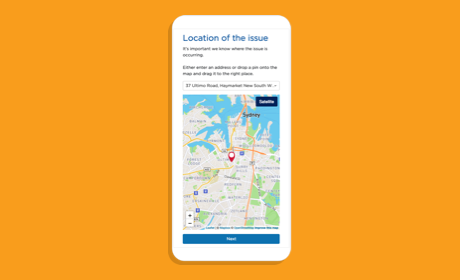 Small Multiples worked with The Climate Institute and created a web application for the analysis of Australia's major parties' climate policies in 2013. 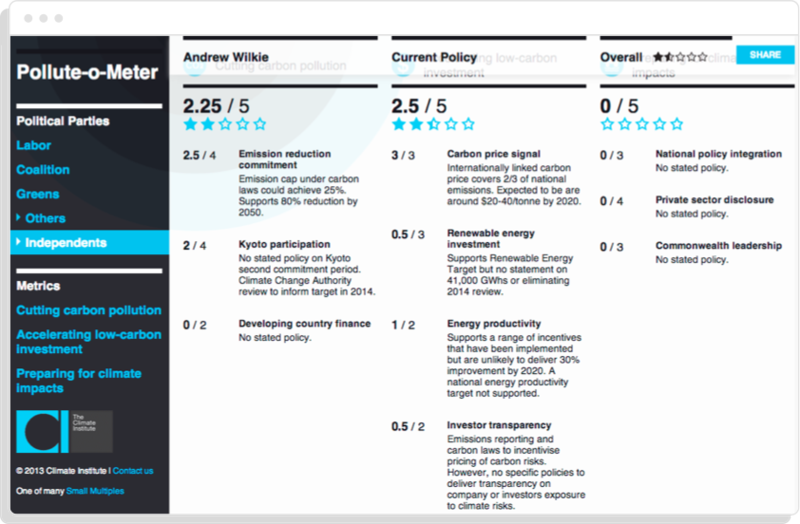 How do Australia’s political parties stack up when it comes to climate change? 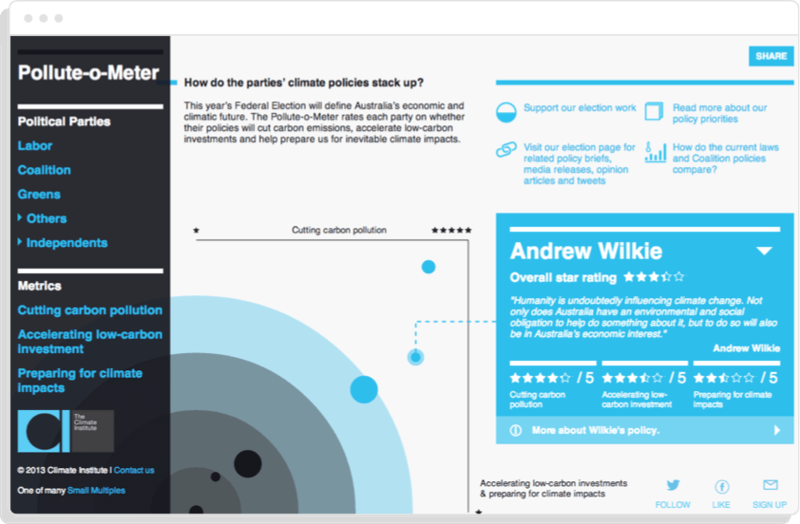 The Australian Federal Election, on 7 September 2013, would define the countries economic and climatic future. 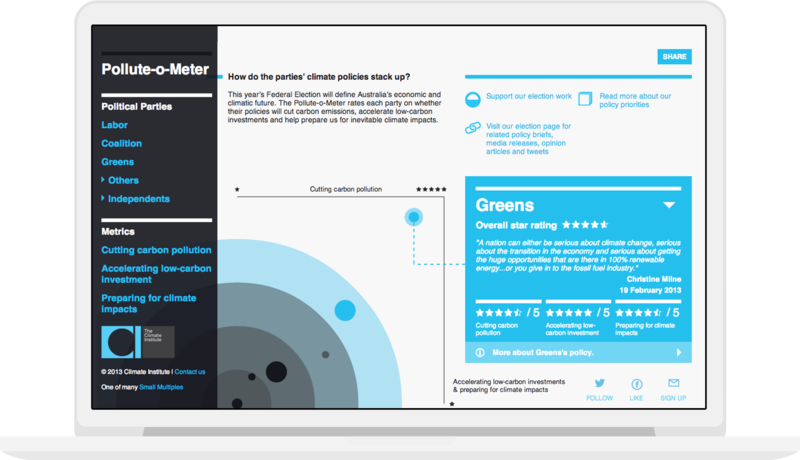 The Pollute-o-Meter rated each party on whether their policies would cut carbon emissions, accelerate low-carbon investments and help prepare the country for for what are inevitable climate impacts.